florencechan.ca3D modelling, illustration, photography and more! Last year, Joshua Pantalleresco & I embarked upon an adventure to illustrate his story, The Watcher, of a child slave who escapes the clutches of slave-driving dragons, learning there is more; a whole new world, new experience, and indeed life free from occupation and oppression. 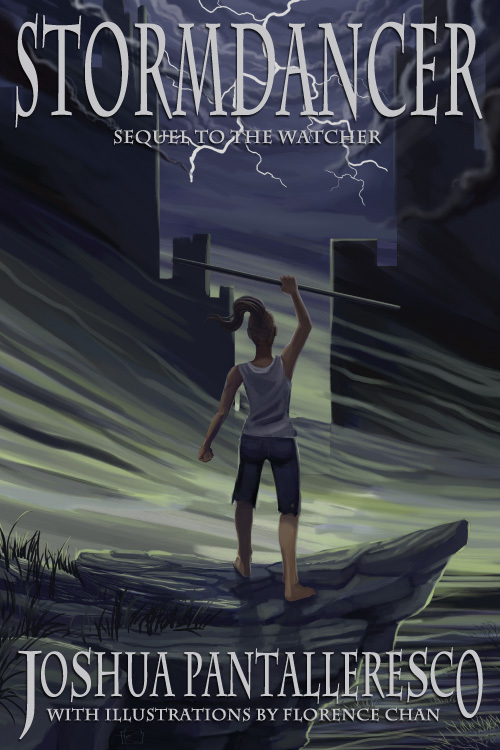 This year, Josh follows up with Stormdancer, which casts its gaze on Kristen, Nikki and Will – three young rebels who have escaped and must themselves experience, learn and flourish in this strange new world. If you’ve been following me on Twitter or Instagram lately, you’ll likely have seen some previews from the past few months – and I’m happy to announce that the illustrations I’ve been working on will be featured in the book, which is published by Mirror World Publishing and will be available in print and digital form as of October 1, 2015! 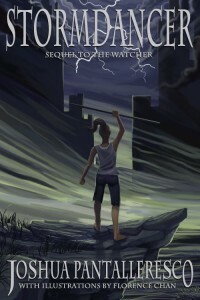 Until then, catch up on The Watcher via Amazon, Chapters, Kobo and other fine book stores near you!